A U.K. based security researcher showed how eBay is vulnerable to a cross-site scripting attack that could potentially be used to hijack user accounts. 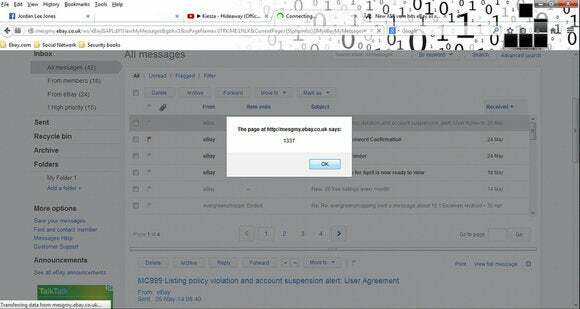 eBay is not the first major website to leave its site exposed to a cross-site scripting vulnerability. CNN and PayPal have also made this mistake. Though XSS vulnerabilities are common, there are tools and techniques available to test for them so they can be resolved before the code is used on a live website. You should also make sure you keep your operating system and applications patched to minimize exposure from known vulnerabilities and run up-to-date security software to prevent malicious code from executing on your system.